Currently semi-retired, Richard Brower serves as a Managing Director at Profor Advisors. In this position Mr. Brower is responsible for marketing to the public sector pension market. 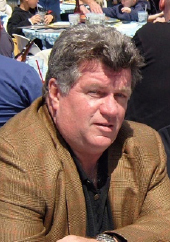 Before joining Profor, Mr. Brower was a Managing Director of marketing at Clinton Group and a Managing Director at Potomac Investment Services, Inc.
Born and raised in Brooklyn New York, Mr. Brower started his career in 1973 with the New York Fire Department after returning from serving in the United States Army during the Vietnam War. During this time, he served as a Firefighter on the Brooklyn Ladder Companies 105 and 174 and later as a Fire Marshal in Manhattan. Mr. Brower was with the New York City Fire Department for 28 years where he held the rank of Captain. After being promoted to Lieutenant in Ladder 3 in Manhattan, Mr. Brower was eventually elected to the Uniformed Fire Officers Association (UFOA). First serving as Financial Secretary, Mr. Brower was promoted to Captain in 1990, and returned to the UFOA to serve as its President. He served as President from 1989 until 1997 and retired in 2000 as Vice President of the Board. While at the UFOA, Mr. Brower held other union posts including Vice President of New York State AFL CIO Board and the Municipal Labor Committee of New York. Mr. Brower is also the former Vice Chairman of the New York City Fire Department’s Pension Fund. During his tenure on the Pension Board he oversaw the rise in assets from $1 billion to almost $6 billion in just ten years during the 1990s. The fund’s assets currently total $12.7 billion.